Kelley found this great entry. She insists I do it to ours! She’s on. 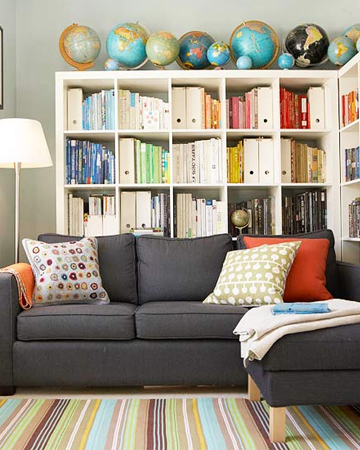 This family room promotes reading with it’s colorfully organized shelving. Knowledge “eye candy” for the whole family. 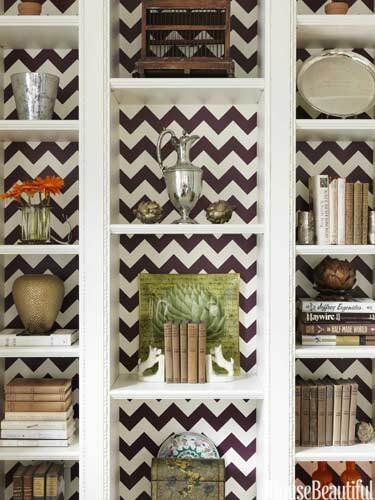 I’m thinking of adding some interest to my bookshelves…how much chevron is too much?